How would you like to drive a sporty and versatile subcompact crossover that never has to refuel at the gas station? Kia has created just that vehicle, in the form of the 2016 Kia Soul EV. Based on the popular and fun to drive Kia Soul, the Soul EV adds an all-electric, Zero-Emissions powertrain that provides a best-in-class electric driving range. Perhaps best of all, the Soul EV can be had at an affordable Kia price! If you live near Lebanon, Crossville, Mcminville, Franklin, and Chattanooga, come experience the ultra-efficient and versatile Soul EV at Cumberland Kia in Cookeville, TN. Our knowledgeable sales team can tell you all about the innovative technology that Kia has packed into the 2016 Kia Soul EV. You can even get behind the wheel and take a 2016 Soul EV out for a test drive! Thanks to its slim lithium-ion polymer battery, packed with 27 kWh of energy to maximize driving range, the 2016 Kia Soul EV has a best-in-class EPA-estimated driving range of 93 miles. The ultra-thin lithium-ion polymer battery fits under the floor for a lower center of gravity, which gives the Soul EV improved handling and additional cabin space. Its electric motor provides a robust driving experience, with a powerful 210 lb.-ft. of torque and 109 hp on tap. All of that torque is available at zero RPM, meaning that the Soul EV offers brisk acceleration from a standstill. Unlike many of its EV competitors, every Soul EV comes standard with the quickest available charge port, the DC Fast Charge, supplying an 80% charge to an empty battery in around 30 minutes. With three ways to charge the battery, including the standard DC Fast Charging, drivers can recharge at home, the office, and any of the thousands of public stations. There are currently over 26,000 240-volt charging outlets available nationwide and a rapidly growing DC Fast Charge infrastructure. Soul EV drivers can quickly and easily find charge station with the aid of the available in-dash UVO EV Services telematics system, or the free UVO EV Services app. If you are curious about how all-electric vehicles drive, then now is the time to experience it for yourself. Drive the all-electric with the best electric driving range in its class, the 2016 Kia Soul EV, at Cumberland Kia in Cookeville, TN. Kia is confident in the quality and durability of every new vehicle they produce. This confidence shows through in their industry-leading 10-year or 100,000-mile warranty program. Kia's 10-year/100,000-mile warranty program includes a 10-year or 100,000-mile limited powertrain warranty, a 5-year/60,000-mile limited basic warranty, 5-year or 60,000-mile roadside assistance plan, and a 5-year/100,000-mile limited anti-perforation warranty. The Soul EV receives a 1-year/12,000-mile Replacement Parts and Accessories Warranty, meaning that your authorized EV Kia dealer will take care of any of your service needs using Kia genuine parts and accessories. For more information on Kia's outstanding warranty package, visit the friendly folks at Cumberland Kia in Cookeville, TN. Kia's all- Soul EV subcompact crossover offers an incredible mix of technology, versatility, and fuel efficiency at an affordable Kia price! 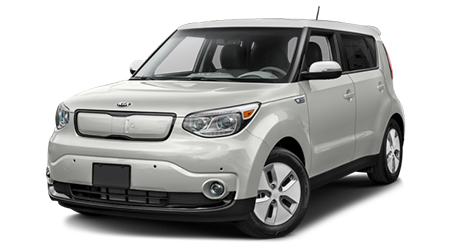 When you are ready for huge savings on fuel costs, come see the Kia Soul EV at Cumberland Kia.